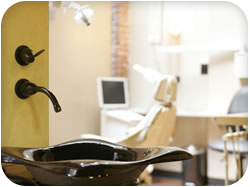 Dr. Nabors has always believed the dental office environment can be different than it has been in the past. How does he strive to accomplish this? By offering you a multitude of patient comforts. As a past owner and developer of an AVEDA Concept Spa and Lifestyle Store, he has a unique perspective on how to incorporate a spa environment without being intrusive to the reason you are here — your smile! Our patient comforts amenity list offers ways to enhance your time with us—perhaps enjoying something you might not otherwise take the time to do. We believe patient comforts can convey to you that we care about you and want you to feel comfortable and pampered here. We offer you a delicious coffee bar in the reception room. Aromatherapy – Essential oil diffusers are running all the time throughout the facility to encourage patient comforts. However, each room is equipped with essential oils for our relaxation treatments and AVEDA candles if you so choose. Paraffin Wax Treatment – Treat your dry, chapped, or just cold hands to this wonderful patient comforts treatment designed to soften the skin. We also offer heated mitts as an option with this service. Heated Mitt Therapy – AVEDA hand relief has never felt better than when gently heated with our warm hand mitts. Hot Towel – Just like at the spa, after you’ve spent some time with the dentist, holding your mouth open for a procedure, a warm towel is just the thing to help your face relax. Essential oil is available for this as well. Personal Music Station – As one of our patient comforts, each treatment room is equipped with personal iPads and headphones if you want to tune out more annoying sounds.